Give your map pages a boost with the latest updates now available in ACI Sky Maps. Using the new label outline and bold color schemes, you can create professional, legible maps in a snap. 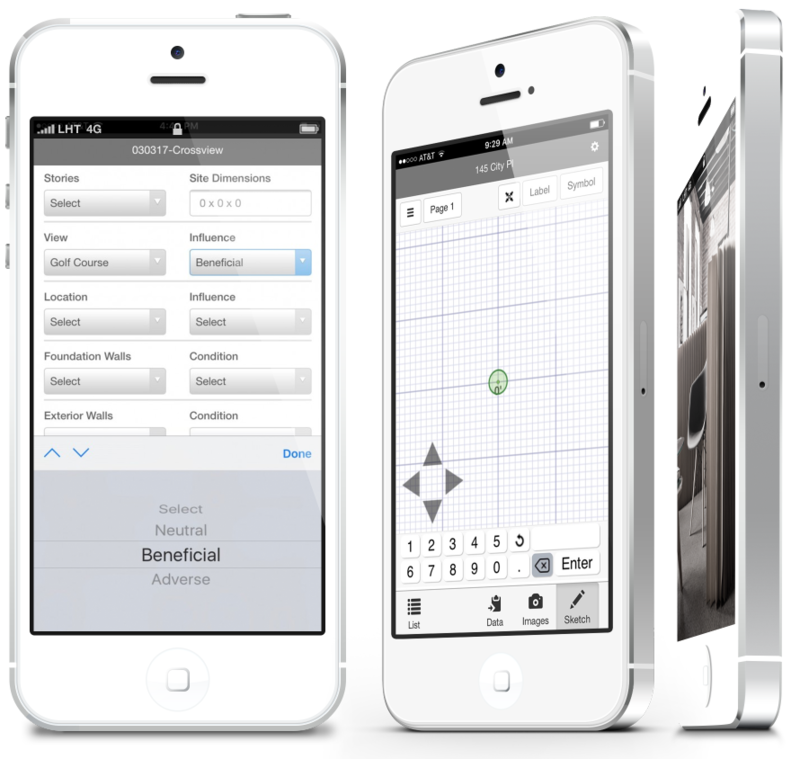 If you want a more subtle look, use the pastel color scheme, or turn up the contrast by selecting the hybrid map view. We also added Neighborhood Boundaries to Sky! Just select the new Boundary tool then select Edit. Name your boundary and click points on the map to define your new boundary. You can adjust the color and opacity of the fill and outline too. Once you’re happy with it, select Save. This boundary will now be available for future maps if you’re appraising a property in this neighborhood. Our latest ACI Sky release also includes enhancements for a better user experience on mobile devices, with more touch events and narrow versions of your favorite forms. To get the latest information on product releases, bookmark our What’s New page. If you have ideas on things you’d like to see happen in the upcoming quarter, please submit your idea to ideas@aciweb.com. 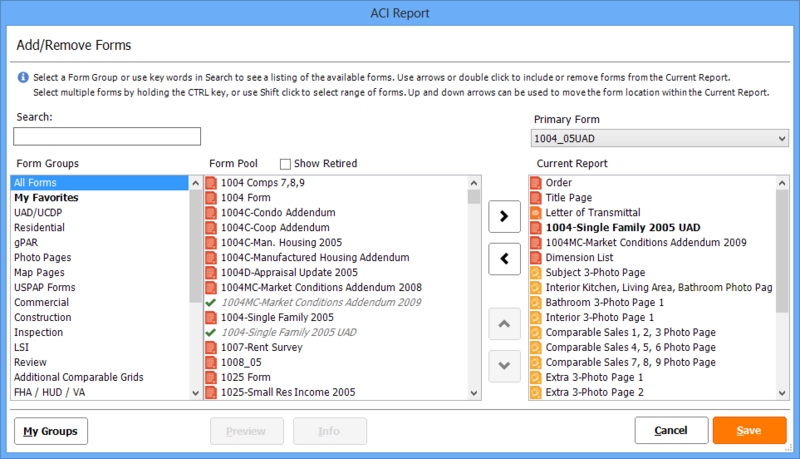 ACI One now includes the new Launchpad feature to quickly locate reports. This database tool provides access to drill down by ZIP code, neighborhood, and even reports you worked on last week. The possibilities are endless to meet all of your specific needs. We also included a new suite of gPAR (General Purpose Appraisal Report) forms for land and condo appraisals. These new and improved forms are perfect for your non-lending assignments. We expanded the reconciliation to include a range of values, and the signature section now has a field for email address to mirror the current gPAR form style. Start using Launchpad and the new gPAR suite today, just run WebUpdate using the Special Update ID ACIONE. To get the latest information on product releases, bookmark our What’s New page. A lot of these new products derive from appraisers like you! If you have ideas on things you’d like to see happen in 2017, please submit your idea to ideas@aciweb.com. We’re excited to share that we are replacing File Lister with the new ACI One Launchpad! 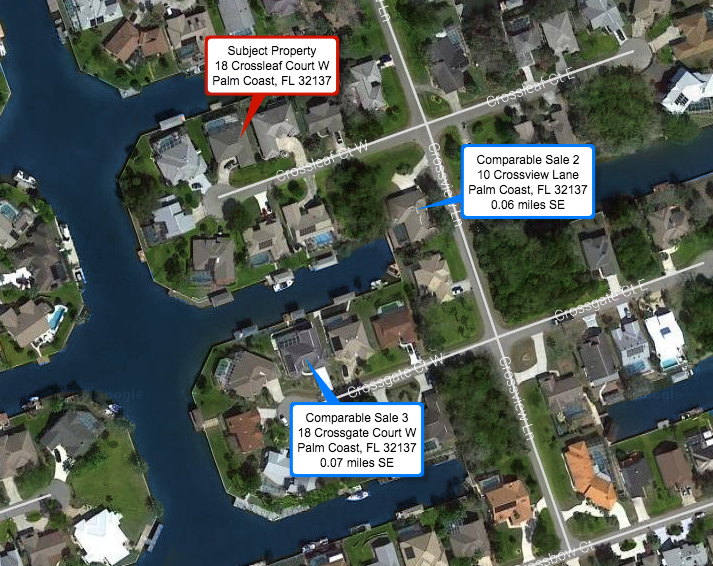 This new tool will give you quick-and-easy access to Find, Filter and Custom View Schemes that are designed to help you locate an appraisal report or even multiple reports. For example, you can search by any field and narrow your results to display only last week’s files. Launchpad is expected to “launch” later this month. Get the latest information on product releases, bookmark our What’s New page. A lot of these new products derive from appraisers like you! If you have ideas on things you’d like to see happen in the upcoming quarter, please submit your idea to ideas@aciweb.com. Stay Tuned: We’ll be adding Create New and Open file in ACI Sky! Start using Launchpad today, just run WebUpdate using the Special Update ID ACIONE. 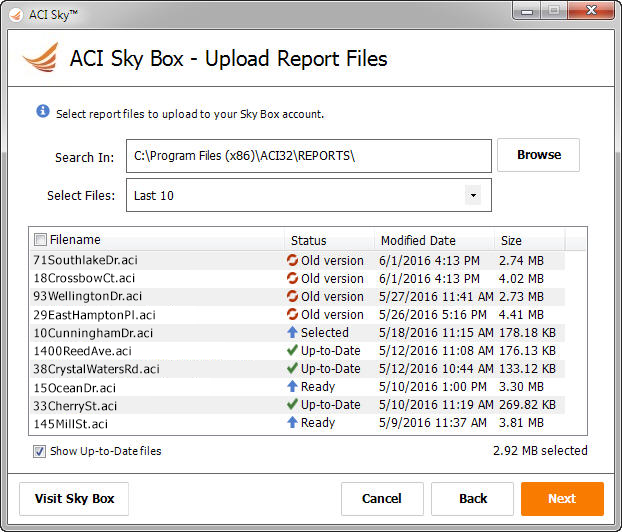 We’ve been working around the clock on ACI Sky™ while simultaneously adding in features, functions, and fixes for your desktop software, ACI Report™. There were a few updates released for ACI Sky Maps, MISMO® XML Express, ACI Analytics, gPAR® forms, and PDF Printing. Just run WebUpdate to get all of these goodies! Any Label Options selected in Sky Maps now save under the eService Options and apply to all future maps. We also added a feature to prompt you for a Subject address if the report only contains Comparable address. We re-enabled the ‘Send Copy to my SkyBox’ feature so you can now use your 1 free gigabyte to archive a copy of your deliverables. Just check the box and your file(s) will be sent directly to your SkyBox. If you’ve never logged in to SkyBox you’ll be prompted to enter your user name and password. The recent addition of listing data to ACI Analytics makes “re-keying” comps a thing of the past. 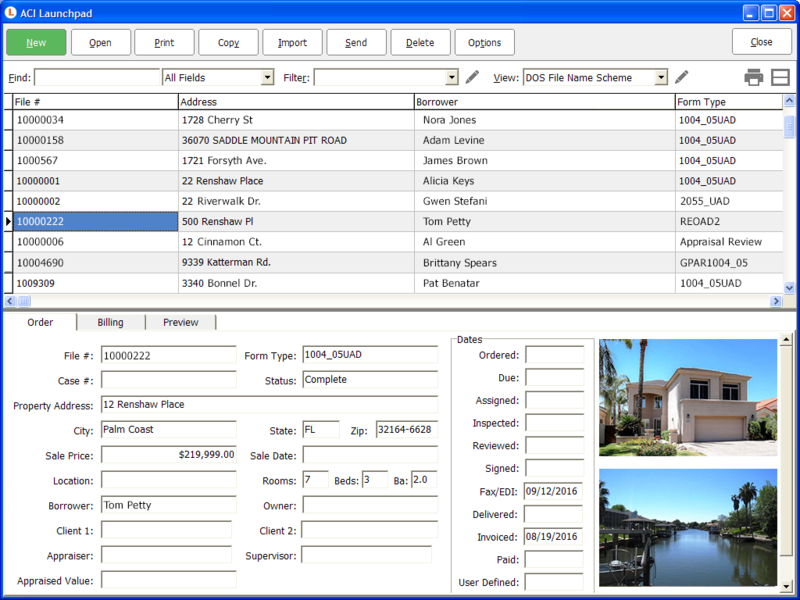 We even added support for rental comparable information to import into the 1025_05 form. The gPAR forms now includes more comprehensive rules coverage. We also expanded the appraiser information section on the signature page. Last week Microsoft began releasing an update that affected the ACI PDF Generator in certain versions of Windows 10. Windows 10 updates happen automatically, so if you run into this problem, there’s a fix available in WebUpdate. Just run the update and you’ll be back in business. After running WebUpdate, if you do not see these changes or you need assistance, we’re here to help you. Just email onecall@aciweb.com or call 800-234-8727 if you have any questions regarding these updates. 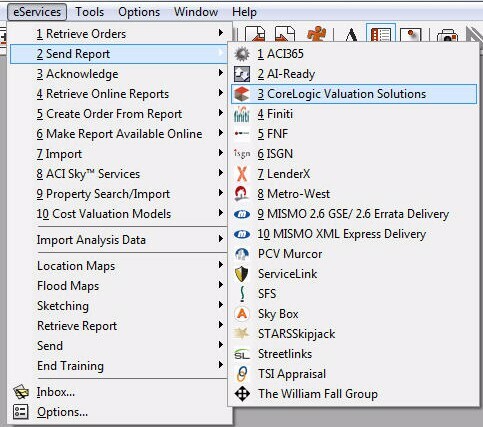 In January, CoreLogic acquired the remainder of RELS and has been working with ACI to rebrand several pieces in ACI Report including the VSS eService, form names, and report paks. ACI One is at it again – making our desktop software easier to use and just overall better. Our latest enhancements include a smarter data extraction technology and more functional UAD helper modals. The new “smart merge” will leave existing data points and fill in the blanks with the report your extracting from. This is perfect for a property that you’ve already inspected or previously used as a comp. 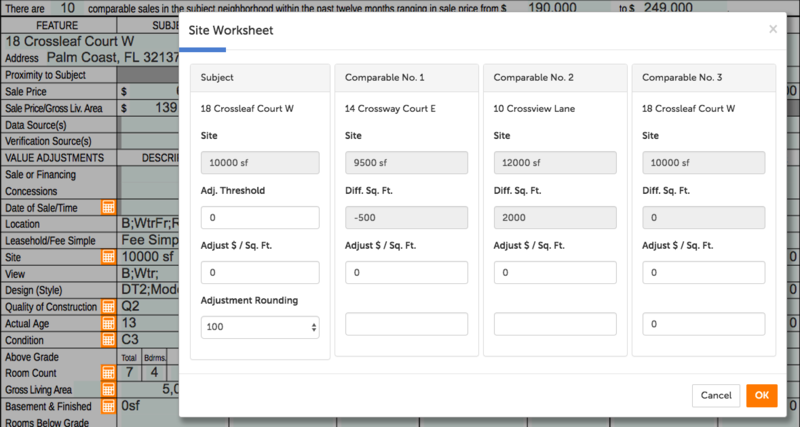 Here’s how it works – start your appraisal file like you normally would, then in the report right click and select Extract/Merge. Choose the file you’d like to copy data from, and then check the new option to “Merge, keep existing data if import is blank.” And viola all the data falls into place! After you run the ACI One update, you’ll notice that your UAD popups got a facelift. We not only gave them a more modern “Sky Style,” but we also increased the text size for greater legibility, and expanded the comment areas so you can see more without scrolling. The new modals also support for big font settings on your PC. Finally we added picklists in the modals that mirror the field picklist. Start enjoying these new features right away. Just run WebUpdate with the Special Update ID ACIONE to incorporate the smart merge and UAD popups into your existing version of ACI Report. As always, we’re here to help you, just email onecall@aciweb.com or call 800-234-8727 if you have any questions. If you like the MLS data import in ACI Analytics™, you’ll love our new listing data service! That’s right, no more mapping fields, exporting and importing from CSV, or struggling with data formatting. Just open ACI Analytics, enter your subject property address, and select import property data from “Listing Service” – it’s just that easy. Best of all, its included at no additional cost with our Data and Delivery (eServices) membership. In our recent update, new search options for GLA, proximity and date were added. Plus we expanded the possible number of records returned to 200 for sales and listings. 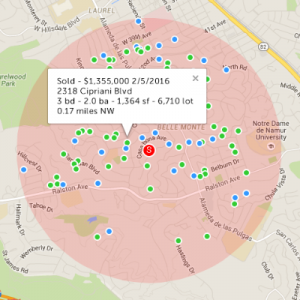 On the map you will now see a handy 1-mile radius marker and expanded data points in the address bubble to give you more insight when selecting potential comps. To get these new features and functions, run WebUpdate, then go to eServices > Import Analysis Data > ACI Analytics and give it a try! As always, we’re here to help you, just email analytics@aciweb.com or call 800-234-8727 if you have any questions. Stay tuned as we have more exciting updates on the way – next up, a new gPAR Co-op form.